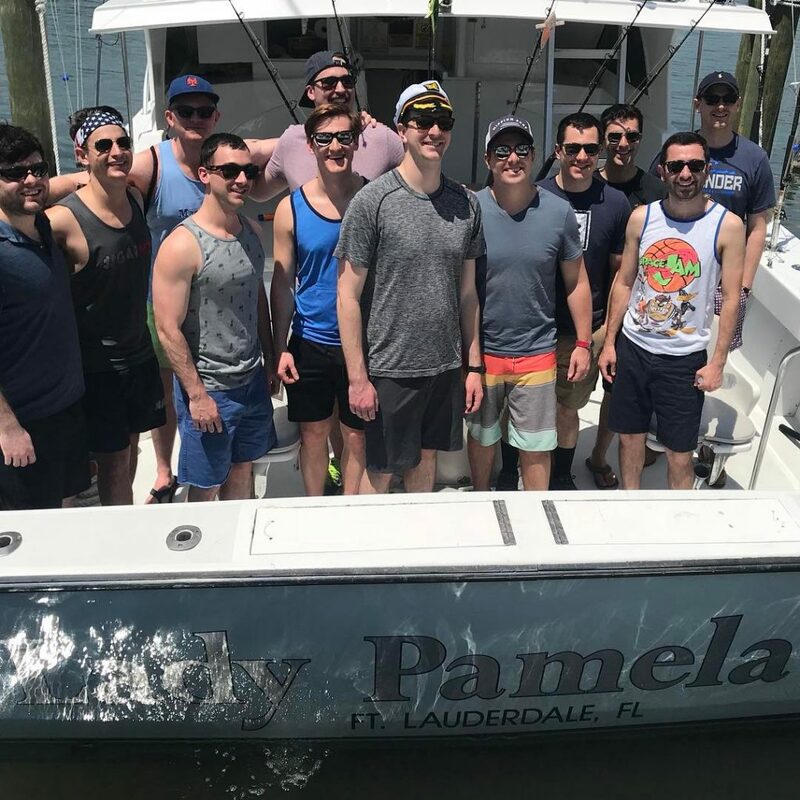 Here at Lady Pamela Sportfishing, we tame even the wildest bachelor by putting him in the fighting chair with a big game fish or even a monster shark. 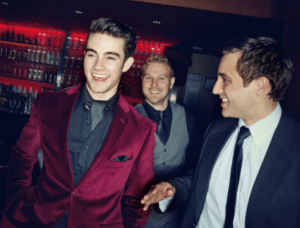 Planning a bachelor party can always be tricky, but you need to consider your options and make it a memorable party without getting into too much trouble. Right? We know bachelors of all types and we know fishing! Being in one of the top destinations in the world, Miami and Fort Lauderdale are known for beautiful women, crazy night clubs and phenomenal big game fishing. Sure, you can go to Las Vegas, spend a load of money in the casinos and get into trouble on the strip at night. Why not have just as good of a time if not better here in South Florida and Miami? You’ll also keep the wives and girlfriends a bit happier when they hear that you are just going on a casual fishing trip. 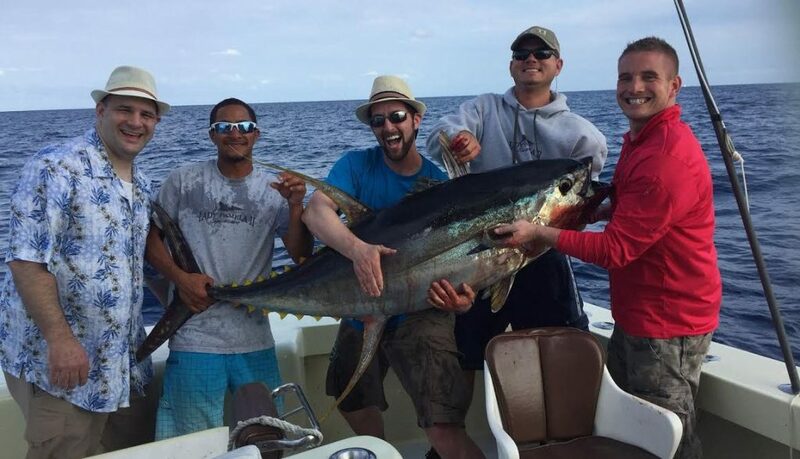 On our Bachelor Party fishing trips, we start early in the morning and target big game fish such as Sailfish, Tuna, Mahi Mahi, monster Sharks, and much more. The species we catch will depend on the time of year you book you trip. Our Shark fishing trips tend to be the most popular for Bachelor Parties. We target Sharks all year long and, upon request, we can target them specifically on your trip. Jump in the chair and battle these amazing animals, while you and your buddies talk smack when one gets tired from reeling. We are the only fleet that can accommodate more than 6 people. We carry up to 65. 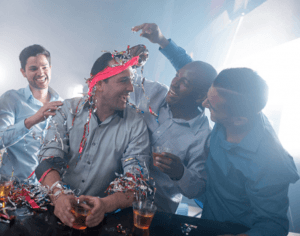 You will get in a bit less trouble than your typical South American bachelor party here in Miami, but still have a great time. Everyone goes home with fun fishing story and for an additional fee you have the option to have a replica mount made of the fish that we will send to the front door of the bachelor for him to remember forever. It is more personal to be on the deep blue sea with you friends than inside a loud obnoxious club all hours of the day. Of course, you can still hit the clubs later that night. Did I mention the Hard Rock casino is just down the street and South Beach is a short ride down Ocean Drive? We are centrally-located so there’s no excuse not to fish with us. Amazing bars, restaurants and clubs in the area and South Beach is only a short ride away. The beaches are loaded with beautiful people and it is beach season all year long. You can even book at the new Hollywood Beach Margaritaville for a great place to stay. Who knows? You might just run into Jimmy Buffett himself. We have boat rentals here, if you wanted to get more water time and hit the sandbars to party all day. 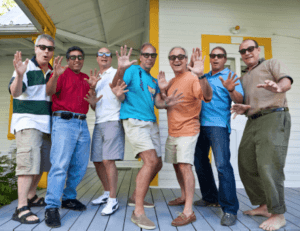 If you want to create a bachelor party to remember, consider a sportfishing trip today! We have great, all-inclusive package pricing and we always match our competitors pricing, although your experience with us is going to be far better. We are not old and grumpy (like most captains). We want to have just as much fun as your group and it is our absolute passion to put you guys on some trophy fish. All our boats come with full cabin, bathroom, and ice cold A/C. Take advantage of great package pricing and enjoy a day on the water with up to 60 of your friends.